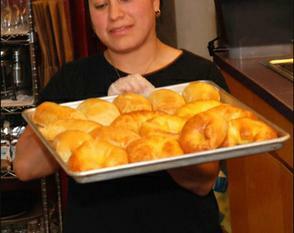 Pan Latin Catering and Bake is the catering/wholesale venue and evolution of the former Pan Latin Café. Our business had its beginnings in 2004 as we introduced a delicious cross section of Latin entrees to our neighbors in Battery Park, Tribeca and downtown Manhattan. Our philosophy emphasized 'sun created' ingredients, fair trade and seasonal as part of the fabric of our mosaic of foods. We have worked with neighborhood residents, businesses, schools and organizations to deliver wholesome, outstanding product- authentic and made from scratch. We have extended to a much larger community and have retooled our scope to emphasize catering and now - local retail placement of Pan Latin products. In addition, we continue to source out high quality ingredients and foods. Please review our current catering menu. 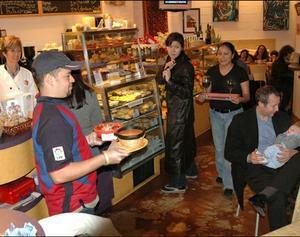 Note that our menu still stresses the variety of excellent Latin uniquely created salads, postres, select entrees and breads. Caterings are open to New York City area customers and require 72 hour lead time in most cases. We look forward and are excited about the prospect of serving you quality Pan Latin food - once again.